Like new, only worn a couple of times!!! 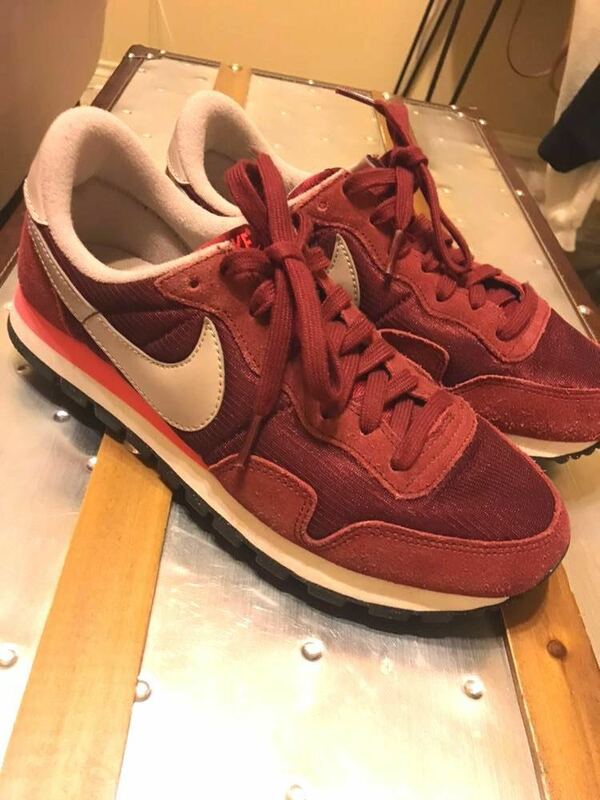 Maroon sneaker with a light grey swoosh, pink accent on the sole. The perfect sneaker to throw on, no matter what your plans are!